Federal government construction contracts contain a changes clause. 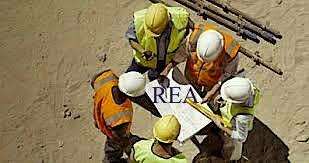 The changes clause in fixed-price federal construction contracts is contained in F.A.R. 52.243-4 (set forth at the bottom of this posting). This changes clause allows the government, through the contracting officer, to direct changes to the construction contract. It also allows the prime contractor to request an equitable adjustment to its contract price associated with either a directed / formal change or a constructive change. Formal / directed changes issued to the prime contractor by the government are easy to comprehend. These typically are less likely to lead to a dispute because the government acknowledges increased costs are owed to the prime contractor through its issuance of a formal change order / directive. “A constructive change generally arises where the Government, without more, expressly or impliedly orders the contractor to perform work that is not specified in the contract documents. The constructive change doctrine provides recovery for contractors as the rationale for constructive changes involves the objective of persuading a contractor to continue to work pending resolution of any dispute involving the work at issue. There are two basic components to the constructive change doctrine-the change component and the order/fault component. The change component describes work outside of the scope of the contract, while the order/fault component describes the reason that the contractor performed the work. CEMS, supra, at 203 (internal quotations and citations omitted). It is the constructive change that typically leads to what is referred to as a request for equitable adjustment or REA. An equitable adjustment compensates a prime contractor for the increased costs it incurs in performing the contract, whether due to additional work or delays caused by the government. Morrison Knudsen Corp. v. Fireman’s Fund Ins. Co., 175 F.3d 1221, 1243-44 (10th Cir. 1999). “Some equitable adjustments are for work added by formal change orders….Other equitable adjustments result from ‘constructive changes,’ which occur when the government does something to increase the contractor’s costs without issuing a formal change order.” Id at 1244. For a prime contractor to receive an equitable adjustment under the changes clause, it bears the burden of proving liability, causation, and injury. P.R. Burke Corp. v. U.S., 58 Fed.Cl. 549, 556 (Fed.Cl. 2003). The prime contractor must “prove that the government somehow delayed, accelerated, augmented, or complicated the work, and thereby caused the contractor to incur specific additional costs.” Morrison Knudsen Corp., 175 F.3d at 1244. Stated differently, “[b]efore an equitable adjustment will be granted, plaintiffs [prime contractor] are required to demonstrate that: (1) increased costs arose from conditions materially different from what the contract documents indicated and that such conditions were reasonably unforeseeable based on all information available to the contractor; and (2) the changes in the requirements caused the increased costs.” Sipco Services & Marine, Inc. v. U.S., 41 Fed.Cl. 196, 224 (Fed.Cl. 1998). As a prime contractor, if you experience a constructive change (increased costs to perform your work), notify the government and request an equitable adjustment to the contract. If you volunteer to do additional work than you may be impacting your ability to request an equitable adjustment for a constructive change. It is all about knowing and understanding your rights under the contract so that, among other things, you can preserve your right to seek additional compensation / an equitable adjustment to your contract price. (b) Any other written or oral order (which, as used in this paragraph (b), includes direction, instruction, interpretation, or determination) from the Contracting Officer that causes a change shall be treated as a change order under this clause; provided, that the Contractor gives the Contracting Officer written notice stating (1) the date, circumstances, and source of the order and (2) that the Contractor regards the order as a change order. (e) The Contractor must assert its right to an adjustment under this clause within 30 days after (1) receipt of a written change order under paragraph (a) of this clause or (2) the furnishing of a written notice under paragraph (b) of this clause, by submitting to the Contracting Officer a written statement describing the general nature and amount of proposal, unless this period is extended by the Government. The statement of proposal for adjustment may be included in the notice under paragraph (b) above. This entry was posted in Changes / Change Orders, Government Contracting, requests for equitable adjustment and tagged changes clause, constructive change, direct change, equitable adjustment, F.A.R. 52.243-4, government contracting, REA by David Adelstein. Bookmark the permalink.